Used with effect in the later stages of the Second World War against enemy armour and strong points, the M6 mobile 37mm anti-tank gun is here captured in detailed kit form. 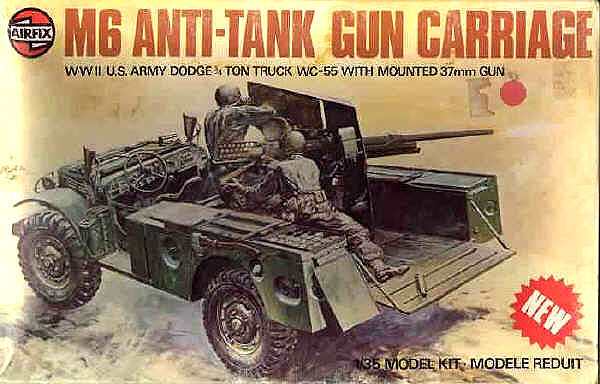 The Dodge 4 x 4 chassis was used as the gun's platform and the model has all the equipment and weapons of the original. A crew of three and a set of authentic transfers are included in this 116-part kit.